When talking about "Cambridge Exams", we use it as an umbrella term to group together different exams at different levels. We can divide these into two groups- ESOL and IELTS . All of these exams are recognized as qualifications by institutions all over the world. The ESOL exams can be taken at different levels. Students who are at a very low level- Elementary Level (A2) would be able to take KET or Key English Test, which recognizes the ability in students to communicate at a basic level. The exam would consist of one paper for reading and writing, a listening test and also a speaking test. Students at this level are able to express simple opinions, understand straightforward questions and give simple answers, and are also able to produce short simple sentences about familiar topics. The next level would be PET or Preliminary English Test. Students taking PET would have to be between Lower Intermediate level and a weak Intermediate level (B1). They would be tested on the four major skills reading, writing, listening and speaking. This test would be able to prepare students for everyday situations, be it for work, study or socializing. Although KET and PET are a useful qualification, they are not as popular as the other ESOL exams. FCE or First Certificate in English and CAE or Certificate in Advanced English, are two of the more popular examination courses that are taken. Students sitting for these exams must be at least of Intermediate Level (B2) for FCE and a strong Upper Intermediate Level (C1) for CAE. Students at FCE Level should be able have conversations about a wide variety of topics, use the language in writing and understand it in listening and reading. Apart from that candidates for this exam need to be confident in using a wide variety of grammatical and lexical structures. CAE students should be capable of using the language in the same way as FCE students and can normally use the language more effectively in not only ordinary situations but also in formal circumstances for example relating to business matters. Both exams are divided into five separate papers: Reading, Writing, Use of English (Grammar and vocabulary), Listening and Speaking. CPE or Certificate of Proficiency in English is also divided into these different papers. Students taking this exam normally have an excellent understanding of the language and are able to discuss complex issues using the appropriate language and expressions. A strong advanced level of English or C2 level is needed to be able to take this exam. Even though IELTS "International English Language Testing System" is also a Cambridge exam, the format and level is different. The papers are divided into two levels- General Training and Academic. The difference is in the reading and writing papers, which are more difficult in the Academic exam. The Academic paper is aimed at people who need the exam to either study in an English speaking university or even to work in professions which require a very good level of English. The papers include reading, writing, listening and a speaking test. In the reading and listening papers, the difficulty of the tasks increases the further along you get in the test. 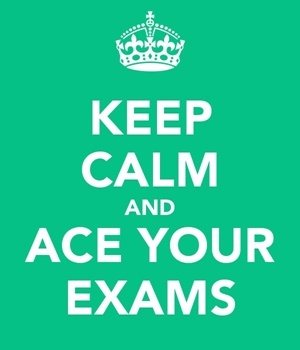 Unlike the ESOL exams, which are graded A, B, C etc. IELTS is graded by using bands 0-9, with a 9 being the highest band you can achieve. The IELTS exam is not about passing or failing, it provides a profile of your level of English, but, as a general rule, institutions consider any mark lower than a Band 5 in any of the parts, as being too low for academic study. The last couple of years have seen a surge in popularity in the IELTS exam, with students opting to do this exam rather than the ESOL ones. I think that the main reason for this is that in most cases, it takes a shorter amount of time to prepare for it than to prepare for the higher level ESOL exams. On the other hand, unlike the ESOL exams, the IELTS qualification is only valid for 2 years, after which students must retake the test to ensure that their standard of English is still as good as it was when they took the test in the first place.